One of the best biomarkers of schizophrenia is low auditory mismatch negativity. Auditory mismatch negativity describes the pattern of electrical activity that occurs in the brain when a repeated sound is interrupted by a mismatched sound, such as a change in pitch or volume. 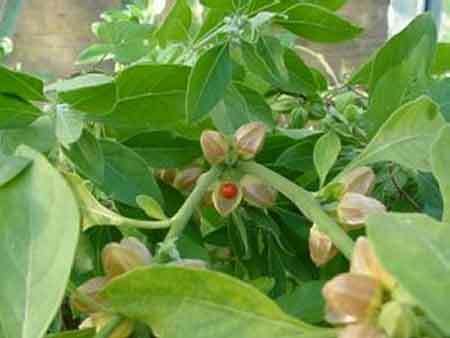 At the International Congress on Schizophrenia Research, Paulina S. Marell and colleagues described their pilot study of the antioxidant and anti-inflammatory herb Ashwagandha or Withania Somnifera (also known as Indian ginseng, poison gooseberry, or winter cherry). In 11 patients with schizophrenia, the herb normalized mismatch negativity compared to placebo. Marell and colleagues wrote that the herb “recover[ed] some of the impaired early sensory/cognitive potentials in schizophrenia.” Since normal cognition relies on sensory processing, normalizing these functions in people with schizophrenia could improve their symptoms. A 2018 study by researcher K.N. Roy Chengappa and colleagues in the Journal of Clinical Psychiatry reports that adding Withania Somnifera to patients’ regular antipsychotic medication improved negative symptoms of schizophrenia and total symptoms compared to adding placebo. Editor’s Note: These studies, taken together, suggest the utility of adding this supplement to the treatment regimen for schizophrenia. Many patients with bipolar disorder experience cognitive deficits that impede their recovery and that persist during times of wellness. In a double-blind placebo-controlled study by K. N. Roy Chengappa et al. 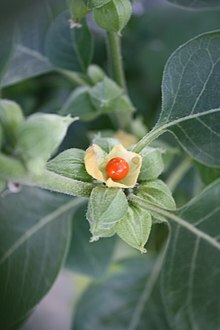 published in the Journal of Clinical Psychiatry in 2013, the herb Withania somnifera (WSE, commonly called ashwagandha and sold under the name Sensoril) was significantly better than placebo at improving patients’ performance on three different cognitive tasks. In the eight-week study, 53 patients took either 500 mg of WSE or placebo in addition to their regular medications. The herb, which has traditionally been used in Ayurvedic medicine in India as an aid to resisting stress and disease, improved performance on digit span backwards (a test of short-term memory in which the subject must repeat a sequence of numbers backwards), Flanker neutral (a test of response time in which a subject must repress their instinct to give an incorrect response), and the Penn Emotional Acuity Test (which requires subjects to correctly identify facial emotions depicted in photographs). Mood and anxiety levels were not different for the group taking WSE and the group taking placebo. The researchers hope to continue their investigation of WSE with larger and longer-term studies that will explore the effects of different doses of WSE.